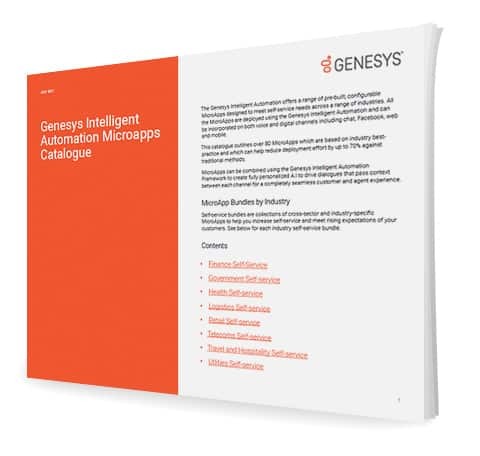 The Genesys Intelligent Automation offers a range of pre-built, configurable microapps to be incorporated on both voice and digital channels, including chat, social media, web and mobile. When combined using the Genesys Intelligent Automation, microapps facilitate personalized and context-rich interactions across all channel for a seamless customer experience. Download this catalogue now to gain access to 80+ microapps based on industry best practices and reduce your time-to-market by 70%!